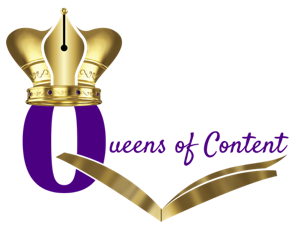 We focus a lot on more obscure topics and commentaries within the self-publishing/marketing world. Recently, though, we’ve gotten more than a few requests to write up something a bit simpler and a bit more newbie-friendly so to speak. And so, that’s exactly what we’ll be doing with this particular piece, one in which we quite literally take you through, step-by-step, the six core steps of writing, publishing and marketing your very own Kindle book. Whether you’re looking to publish a whole novel, a how-to instructional booklet or even just a short story, you’re going to have to either write out the book’s content yourself or find someone else to do it for you. If you’re actually writing it yourself, a Microsoft Word document or PDF editor will do just fine – so long as you’re comfortable and “in the zone” enough to the point of not being distracted by anything around you too much. 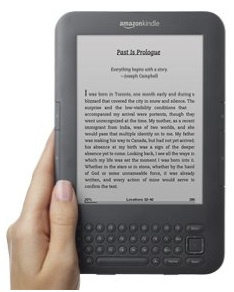 Easily one of the most overlooked aspects of writing and/or publishing your own Kindle book, before you even think of any of the other steps involved in the process, you’re going to want to make sure that your finished draft of your Kindle book is up to par and competently edited first and foremost. Again, whether this is done by you (along with your handy dictionary and grammar booklet, if necessary) or a professional editor doesn’t really matter – the important thing is that it’s done. Arguably one of the most important aspects of how your Kindle book will sell – besides the actual quality and entertainment-level of your book – is the cover design; namely because it’s going to be your first (and perhaps last) chance at establishing a good, solid first impression. So if you’re not a very good artist or illustrator yourself, then bite the bullet and spend the amount necessary to get a skilled, knowledgeable designer to help you get your overall idea for your Kindle book’s design out on paper. 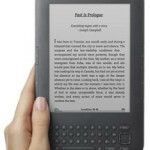 Thankfully, uploading all of the different aspects of your Kindle book is both quick and easy. Since you’ll be uploading your finished product via the Kindle Direct Publishing platform, you’ll simply be asked to enter your title and a short synopsis of your book before uploading your actual content and cover design. Even better, the Kindle Direct Publishing upload tool will actually preview for you exactly how your book will look on a Kindle screen. Pretty cool! Usually by default, your Kindle book will automatically be set to publish internationally unless you choose to specifically restrict it to certain territories or countries. Since you’ll be publishing on Amazon, you’ll be able to set your royalties at either 35 or 70 percent. If you choose the 35% royalty then you can price your book at the .99 cent pricing point, whereas if you choose the 70% royalty than you’ll be able to market your Kindle book at either $2.99 or more. Since you’ll be publishing and marketing your own Kindle book, you’ll unfortunately not have any major publishing houses to do the marketing aspect for you. So you’re going to want to set up readings or signings at any available local (usually independent) bookstores or simply setup an entire local author event completely. In this day and age, utilizing social media to help promote your work is an absolute must and offers an absolutely amazing free tool for which to do so. Alternatively, you can also feature links to your e-book on your own website or blog as well as in your e-mail signature if you do much correspondence that way. All in all, you’re just going to want to play to your strengths throughout the process. And if you’re truly interested in making a substantial amount of money from your Kindle book, then be sure to outsource to either a freelance writer, editor or designer for the respective steps outlined above. If you’re not a good writer, editor and/or designer, there’s no doubt it’s going to shine through in your Kindle book, so choose and spend wisely – and good luck!